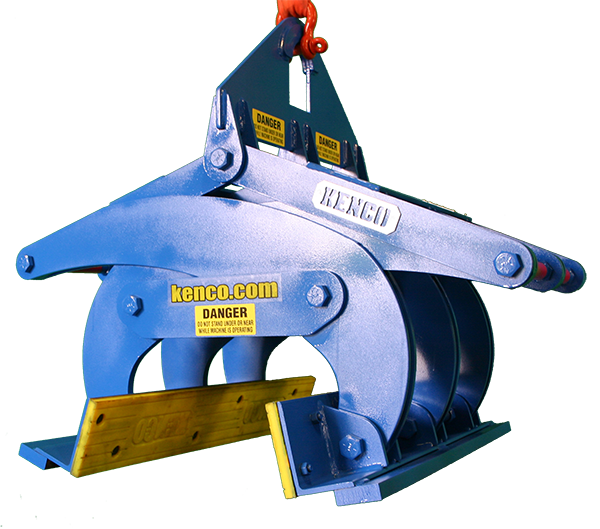 Suitable for handling concrete components, prefabricated concrete wall units, steps, kerb stones, natural stones etc. Universal clamp for all kind of precast elements. Gripping width adjustment by spring loaded bolt. Bolt can not get lost. Lifting eye for attaching to crane hook. Automatic release for the fully automatic switch over from “full” to “empty”. Exchangeable rubber metal bars as gripping elements.